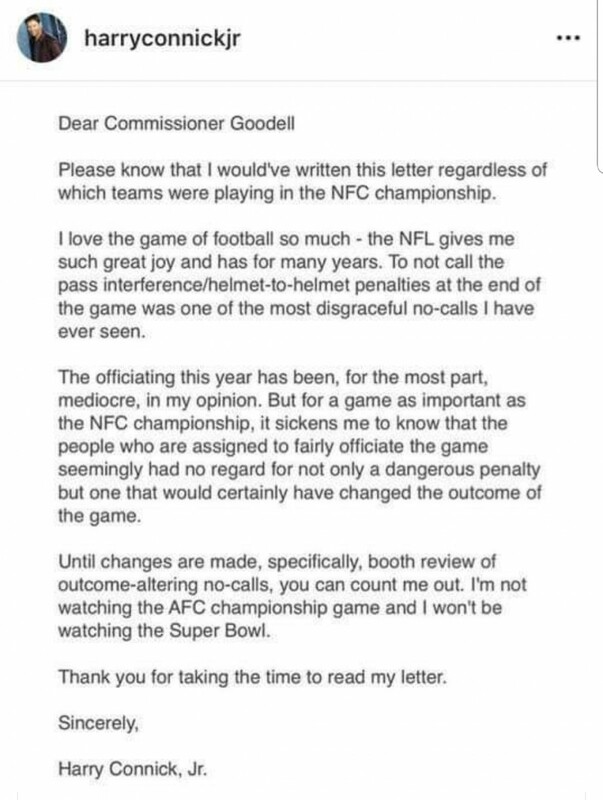 Demanding The NFL Commissioner to step in on the no-call of pass interference/ helmet-to-helmet that resulted in Saints being robbed of Superbowl Berth. The call as stated and admitted after the game to be a missed call by the referee, should be inforced, the game should be replayed "from the point at which the extraordinary act occurred.” ,with the full penalties against the Rams. Reschedule and continue the game from the point of the foul in which Lewis is hit as seen in attached. By signing, I authorize Trey Miley to hand over my signature to those who have power on this issue.